Getting a restful sleep is one thing everyone aspires to, but few can attain, on a regular basis. Between the stresses of work and life, making sleep a priority can be hard. For those who snore or who have a partner that snores, it can be even tougher. Although several factors contribute to snoring, one of the biggest culprits is diet. Here are suggestions for foods that help combat snoring. Snoring is considered a nuisance but not necessarily a serious condition. There are a number of different types of snorers: mouth breather snorer, tongue snorer, nasal snorer, the list goes on. Regardless of the type of snorer you or your sleeping partner are, maintaining a healthy diet can go a long way towards preventing snoring. While we all snore on occasion, certain segments of the population are more at risk. People who are overweight are more likely to suffer from sleep apnea which is one of the most common causes of snoring. Snoring happens because the walls of the throat vibrate as you breathe in and out. Even being just a few pounds overweight can affect your snoring since extra fat in your neck can constrict your airways and prevent steady breathing. Sleep apnea can be a serious condition that can lead to fatigue, irritability, and in extreme cases, even death since it involves the cessation of breathing for periods of time. Alcohol is a chief culprit behind snoring, both for those who already snore and those who might not otherwise. 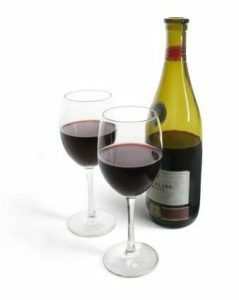 Since many people regularly have a glass of wine or beer before they go to bed, it may be harder to discern that this is an issue. Alcohol and other sedatives decrease the resting tone of throat muscles and suppress breathing ability, especially if you consume several alcoholic drinks in a sitting. If a nightcap isn’t something you’re willing to forego, try drinking fewer drinks and consuming them earlier in the evening, rather than close to bedtime. A lesser known snoring trigger in your diet is red meat, which acts as an inflammatory agent to your arteries. Arterial inflammation, nasal inflammation, and snoring are all directly linked so when you remove one trigger, it lessens the impact of the other two. Try minimizing your red meat consumption and substituting with a lean protein instead. Dairy is another serious offender when it comes to snoring. When you have a chest cold, doctors recommend avoiding dairy because it increases the amount of mucus in your nasal passages and can diminish your airflow. Similarly, if you or your sleeping partner have trouble with snoring, try eliminating dairy from your diet to see if this helps alleviate symptoms. Although this is not technically a food to avoid, smoking is one of the top causes of snoring. Cigarette and cigar smoke blocks your airways causes damage to your lungs and irritates the membranes of the nose and throat. Combine these symptoms together and it is impossible to escape snoring. By eliminating smoking from your daily life, you will improve your health in numerous ways, including better quality of sleep and fewer instances of snoring. 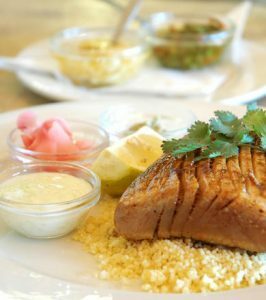 Fish is an excellent protein for numerous reasons, not the least of which is that it can help with snoring. While lean proteins, including turkey and chicken, are also helpful, nothing beats fish, which can also be incredibly versatile. Tuna is specifically recommended for snorers but if you prefer other types of fish instead, feel free to substitute those for red meat or other proteins. 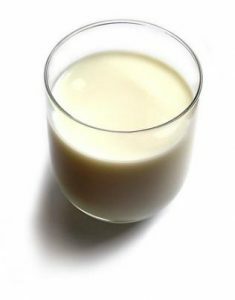 Those who decide to cut dairy out have a number of delicious and healthy substitute options, including soy milk. Lactose intolerance, which can cause digestive issues, is underdiagnosed and can be fixed by introducing soy milk into your diet instead of cow’s milk. This can also solve your snoring issues since soy milk does not contain the enzymes that produce excessive nasal mucus when consumed. Green tea is another excellent addition for those looking to prevent snoring. Not only does it work as a decongestant but it also contains antioxidants. Consider adding some honey and/or lemon to your green tea as well, especially before bed, since both foods also act as natural decongestants for your nasal passages. It may sound odd but consuming onions in your daily diet may also help lower your incidence of snoring. Onions are an anti-inflammatory, plus they are another source of natural decongestants that can assist in opening your airways for cleaner breathing. If you or your sleeping partner suffer from snoring, take a look at your diet. Are there foods on the “avoid” list that you consume regularly? Are there foods on the “include” list you never think to eat? Try making some small changes to see if that helps. Sometimes it just takes one step in the right direction to make a difference in your sleep. If diet doesn’t help look at mouth guards such as SnoreRx, Zyppah, or ZQuiet.